The overpayments happened during the 2016-2017 academic year under the VA’s second-largest education program, Dependents’ Educational Assistance, which pays up to $1,224 for schooling per month to spouses and children of totally and permanently disabled Veterans or deceased service members. Veterans who are 100 percent service disabled are eligible to receive monthly stipends of $266 for each college-aged child they have in school as part of their disability check from the VA. But these benefits cannot overlap with DEA. Yet, in it at least 70 percent of cases during the 2016-17 school year, they did, in large part because emails from Veterans claim examiners were going unread at many VA regional offices. Now, Vets who were overpaid owe VA a total of $4.5 million for the department’s mistake — an average of more than $3,400 each. This represents “a hardship for seriously disabled Veterans,” the report states. In its review of all 58 VA regional offices, Office of Inspector General auditors found that as of May 2018, 25 had an approximate total of 4,600 unread emails dating back to August 2016. The majority of these emails, 67 percent, were about DEA benefits and potentially required adjustments to Veterans’ claims to keep them from being overpaid. In interviews recorded in the report, VA staff at seven of these offices said they had not been monitoring mailboxes related to the DEA program before the audit. Another in Houston said the DEA inbox was “not considered a workload priority” because of other workload targets the office was required to meet, according to the report. Already, the VA has instituted a new policy requiring regional offices to check DEA-related emails twice a month, Susan Carter, a spokesperson for the agency, said in an email. Additionally, the VA Office of Field Operations has committed to sending weekly reminders to check the emails to the regional offices and will likely incorporate oversight of this into future site visits, according to the report. Joe Plenzler, a spokesman for Wounded Warrior Project, said the organization is concerned about the impact these overpayments will have on the affected Veterans and plans to work with VA on the department’s plans to remedy the situation. “We would hope that the VA would avoid any significant disruptions or financial burdens on the recipients,” he said in an email. Carter said the agency has already identified the Veterans who were overpaid and expects to complete all payment adjustments by June 30. Veterans will have several payment options available. “VA is implementing improvements that will focus on the timely establishment of compensation adjustments, ensuring receipt of DEA program benefit notifications by VA regional office staff, and promptly identifying and rectifying payment duplications,” Carter said. The inspector general’s report also recommends VA move to an electronic system to better identify when there’s a potential for Veterans to get paid out of both programs in order to cut down on overpayments. If delays continue, the report states, the VA could end up paying another $22.5 million in improper payments over the next five years. “I see everyone screaming that this is an outrage now and that’s great,” one Veteran advocate said. “But where were they three months ago and where’s the president now?" Confusion has reigned in Washington in recent weeks after the Department of Veterans Affairs provided a series of inconsistent messages about delayed or incorrect payments to Veterans covered by the GI Bill. As the issue gained steam, lawmakers demanded further answers, introduced a related bill and called for an investigation to find out what went wrong and what VA plans to do to fix the problem. For many, behind this flurry of sternly worded letters and acts of oversight, however, lies an open question: Who should be held accountable for a series of missteps that left student Veterans in dire financial circumstances? There’s also an attempt to discern whether this is a systemic issue at a beleaguered federal agency or mismanagement by a new administration. The “screw up” Reickhoff referred to surrounds the passage and implementation of the Forever GI Bill, which expanded generous Veteran education benefits that were supposed to come into effect on Aug. 1, 2018. Because of a series of computer problems when calculating Veterans’ housing allowance, however, VA was late to pay some GI Bill recipients the money they were owed or paid them the wrong amount. Some of those student Veterans faced difficult financial circumstances because they were dependent on the check they received through the GI Bill to pay for housing, books, transportation, food and more. As a result, VA officials announced in late November that they would delay implementing two sections of the law until Dec. 1, 2019, and pay Veterans by a different calculation. But what soon came to light is that some Veterans might be paid less than they were owed under the new law, and a series of inconsistent statements from VA last month that made national headlines compelled some lawmakers to act. Sens. Cory Gardner, R-Colo., and Doug Jones, D-Ala., introduced a bill last week that would create a commission at the VA responsible for auditing all education claims to ensure that student Veterans are paid in full. VA officials told Congress in mid-November that they refused to say when they would implement the GI Bill changes. Less than two weeks later, they took a firm position and announced the changes would be delayed until Dec. 1, 2019. That began a series of evolving VA positions around housing payments that confounded lawmakers and Veterans, as each new statement appeared to conflict with one made previously. Within hours of the announced delay, VA officials privately told congressional staffers on a briefing call that they did not intend to go back through education claims to discover whether they owed any Veterans additional funds. After members of the House Veterans’ Affairs Committee questioned him further, however, Lawrence admitted that VA was unsure whether it was worth the effort to audit past education claims and ensure that students Veterans were paid all the money they were owed. A letter later sent by Democrats on the committee to Veterans Affairs Secretary Robert Wilkie affirmed the call between congressional staffers and VA officials had occurred. 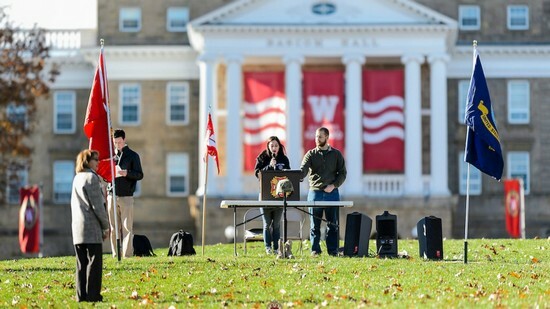 However, hours later, Wilkie released a statement overriding Lawrence and appearing to promise that all student Veterans would be fully paid in accordance with the law — eventually. VA still has not publicly stated how it will implement the change or predicted when it will be able to provide the back pay, leaving many once again suspicious of the agency's ability to deliver on its promises. "Way too many people are willing to believe the VA," said Rieckhoff. "We don't believe anybody until the check is in the bank. And we shouldn’t. You can’t take a promise from an undersecretary to your landlord. You can’t take a letter from a senator and pay your rent." Nevertheless, some lawmakers — on both sides of the aisle — have sent letters to push the agenda forward on behalf of Veterans. Sen. Tammy Duckworth, D-Ill., an Iraq War Veteran and former assistant secretary for public affairs at VA, sent a letter to Wilkie and three credit reporting agencies last week urging them to act so that no Veterans would face long-term financial hardships and credit penalties because of the delayed or incorrect payments. Duckworth’s letter notes how debt incurred because of the ongoing issue could cause Veterans to face numerous financial penalties. Veterans have faced late bill fees, interest on loans and credit cards and bank fees because of the incorrect or delayed payments, putting Veterans even further behind financially and potentially impacting their credit scores. Amid all the back and forth, it remains unclear whether anyone will be held accountable. At the mid-November congressional hearing, VA officials representing the Office of Information Technology and others representing the Veterans Benefits Administration appeared to point fingers at each other. That has left lawmakers like Gardner frustrated. He said figures at VA appear more adept at playing the blame game than taking responsibility. 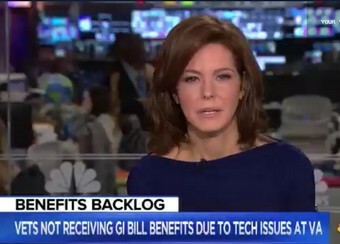 Two former officials at VA have told NBC News that in the days and weeks after the Forever GI Bill was signed into law, members of the IT office promised they would be able to implement the system changes by the following April. Those promises allowed the issue to fly below the radar, they said, but an aging system and a litany of other computer problems forced delays and further troubles. ”It’s a very complicated piece of legislation, but the bottom line is that IT lied and couldn’t pull it off and no one got held accountable,” one official said. Duckworth noted that the Trump administration waited two years to appoint someone to lead the VA’s IT office, which cycled through three acting leaders in the interim. A secondary issue is the complexity of the changes that the Forever GI Bill called for and the lack of resources allocated to address them. While Congress authorized $30 million to help with system updates, the funding was never appropriated. Former Secretary of Veterans Affairs David Schulkin, who left the VA earlier this year, said he was proud to have been secretary when the Forever GI Bill expansion occurred and the opportunities it provided. He declined to speak further on the issue, but noted that implementing a law is never simple. “Every piece of legislation is a heavy lift to do well,” he said in an email. Reickhoff said that lawmakers should have known this was an issue and pressed VA officials for answers sooner. He said it was particularly discouraging that White House Press Secretary Sarah Sanders and the president have said nothing about the ongoing crisis for some Veterans. To Rieckhoff, he’s yet to see any indication that they are any different from previous administrations. Veteran issues, he said, are apparently only important on Veterans Day, Memorial Day or when there is a big crisis. When it comes to VA disability compensation, the goal for most Veterans is getting a 100 percent rating. The road to a 100 percent rating can be long and confusing. There are also different ways to get to a 100 percent rating. Below we will discuss the different types of 100 percent disability ratings. Total disability based on 100 percent scheduler rating: This is when a Veteran’s single service-connected disability or alternatively, the Veteran’s combined service-connected disabilities total to 100 percent. Better known as TDIU or IU is a type of rating that can be a bit more complicated than just a regular 100 percent scheduler rating. TDIU is considered once a Veteran has made a request to be paid at the 100 percent rate even though his or her disabilities do not combine to 100 percent. 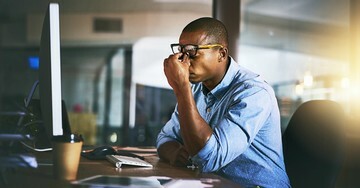 A Veteran may file a claim for this rating when he or she is unable to maintain substantially gainful employment because their service-connected disability keeps them from doing so. Substantially gainful employment for VA purposes is defined by the amount of earned from an employed position. The total amount of earnings from a job is considered gainful if they are above the poverty level. It is also defined as competitive employment where a non-disabled individual may ear a comparable income to the particular occupation in the same area. In order to qualify for TDIU or IU, a Veteran must have one disability rated at 60 percent or one disability rated at 40 percent with enough additional disabilities that combine to a rating of 70 percent or above. It is important to keep in mind that just because the initial criteria for IU are met, does not mean that a 100 percent disability rating will be awarded. A Veteran will need to provide medical evidence that shows that they are unable to work in both a physical and a sedentary work environment. This rating is given to Veterans who have been hospitalized for 21 days or longer or had surgery for a service-connected disability that requires at least a 30 day convalescence period. The VA will pay the Veteran at the 100 percent rate for the extent of the hospital stay or convalescence period. The permanent and total rating is given when the VA recognizes that a Veteran’s service-connected disabilities have no probability of improvement. This means that the Veteran will remain at the 100 percent rating permanently without the need for future examinations. Veteran often times make the mistake of requesting a permanent and total rating because they want the Chapter 35 educational benefits for their dependents. It is important to keep in mind that whenever a permanent and total rating is requested, all service-connected disabilities will be subject for re-evaluation. If improvement is noted during a re-examination, a reduction from the 100 percent rating may be proposed. It is important to note that most ratings are not considered permanent and are subject to future review. First, let’s break down each word in the phrase “permanent and total.” Permanent means that a Veteran has a disability which has no chance, or close to no chance, of the disability improving. The VA considers a disability to be permanent when the medical evidence shows that it is reasonably certain the severity of the Veteran’s condition will continue for the rest of the Veteran’s life. In determining this, the VA is allowed to take into account the Veteran’s age. Total means a Veteran’s disability is rated at 100% disabling. Ratings are assigned to a disability based on the VA’s rating schedule. A rating is meant to represent how much the disability impairs a Veteran’s ability to function. In other words, the rating reflects the severity of the disability. If a disability is rated at 100%, then that indicates the Veteran is completely, or totally, disabled. A Veteran might have a disability that is rated at 100% (total), but it might not be considered permanent. If a disability is not considered permanent, it is called a temporary disability. Vice versa, a Veteran could have a disability that the VA has determined is permanent, but it is not rated at 100% so it isn’t total. However, when a Veteran has a disability that is considered permanent AND total, there are certain benefits that come into play. If a Veteran has a permanent and total rating they do not have to worry about getting scheduled for VA re-examinations. The VA has already made the determination that the medical evidence shows the disability is not going to improve when they found the disability to be permanent. CHAMPVA (The Civilian Health and Medical Program of the Department of Veteran’s Affairs) – This is a comprehensive health care benefit program for spouses and children of Veterans. If a Veteran has a P&T rating their spouse and children can receive health care benefits under this program. Also, if a Veteran who passed away had a P&T rating at the time of death their surviving spouse and children can receive health care benefits under CHAMPVA (Note: the Veteran’s cause of death must have been from a service-connected disability). Chapter 35 Dependents Educational Assistance Program – This provides education and training opportunities for eligible dependents (spouse, son, daughter, stepchildren, adopted children) of a Veteran who has a P&T rating. Unlike CHAMPVA, if a Veteran dies from a non-service connected disability, dependents can still receive Dependents Educational Assistance benefits as long as the Veteran had a P&T rating when they passed away. There is a lot of information regarding Dependents Educational Assistance benefits, so for more details on this program click here. Dependency and Indemnity Compensation (DIC) – DIC benefits only become applicable when the Veteran has passed away. If a Veteran had a P&T rating for the 10 years immediately prior to their death, qualifying dependents will be eligible for DIC benefits. However, if the Veteran had a permanent and total rating for LESS THAN 10 years prior to their death, qualifying dependents are only eligible for DIC benefits if the Veteran’s cause of death was service-connected. Certain state-level benefits – state-level benefits for Veteran’s that have a P&T rating range from college and employment resources to free hunting and fishing licenses. For example, in Florida, a Veteran with a P&T rating and an honorable discharge are exempt from paying property tax on their residence. For a comprehensive list of each state’s benefits click here. You can’t file a claim for a permanent and total rating, but you can submit a letter to the VA requesting they find you permanent and total. When submitting this request, you should also send medical evidence that shows your service-connected disability or disabilities are not going to improve in the future. The VA typically makes a determination of permanent and total on their own, but if you have not been found permanent and total it is worth letting the VA know why you should be. RAMP (Rapid Appeals Modernization Program) is the VA’s pilot program for the new appeals system created by the VA Appeals Improvement and Modernization Act of 2017. RAMP is an optional program, available to Veterans with claims that are currently on appeal. If a Veteran does not want to opt into the RAMP program, they do not have to submit anything to the VA; their appeals will continue to be processed in the current appeals system now referred to as the Legacy Appeals System. Now that the RAMP program has been in effect for several months, Veterans who opted in are receiving rating decisions. It is important to understand the information included in these decisions, and also what your options are if you are not happy with the decision. The appearance of rating decisions hasn’t changed much with the RAMP program. However, the information that must be included in the rating decision has changed slightly. RAMP rating decisions must list all favorable findings that the VA identified when reviewing the case, including listing what evidence was considered as favorable. The VA must also identify the evidence they considered to be unfavorable. In the narrative part of the rating decision, the VA must explain how the favorable and unfavorable evidence was weighed in coming to their ultimate finding. In addition to listing the evidence, the VA also has to include a list of all regulations and laws that were applied in making their decision. In addition to the explanation and the list of evidence and regulations, RAMP decisions will have two forms attached. These two forms are the RAMP Review Rights form and the RAMP Selection form. Supplemental Claim: If you are unhappy with the rating decision and would like to submit new evidence, this is the appeal option to select. Once the new evidence (must be new and relevant) is submitted, a different rater will review the case. Higher Level Review: This appeal option can only be selected if the decision being appealed was issued out of the supplemental claim lane, and you do not have any additional evidence to submit. (Note: if opting into RAMP, the only requirement is that no additional evidence can be submitted.) A higher-level VA employee will review the decision that is being appealed based on the evidence of record. Direct Docket: Select this if you have no additional evidence to submit, and you do not want a hearing. The BVA will issue their decision based on the evidence of record. Evidence Only Docket: Select this if you would like to submit additional evidence, but do not want a hearing. After submitting your appeal, you will have 90 days to submit additional evidence. Hearing Docket: Select this if you would like to have a hearing with a Veterans Law Judge. You will also be able to submit additional evidence up to 90 days after submitting your appeal. The second form that will be attached to a RAMP rating decision is the RAMP Selection form. After deciding which appeal option is best for you, fill out the RAMP Selection form. This form requires you to specify which issues you are appealing, and which appeal option you are choosing. The Department of Veterans Affairs (VA) told congressional staffers on Wednesday that it will not repay Veterans who received smaller GI Bill benefit payments than they were owed, NBC News reported. Committee aides told the outlet that the VA said it could not reimburse those Veterans without auditing past education claims, which, they said, would hold up future claims. The report comes weeks after computer problems delayed GI Bill payments to hundreds of thousands of Veterans. The issue first came under scrutiny after GI Bill payments were delayed due to a change in calculating housing allowances under the Forever GI Bill, which President Trump signed into law last year. 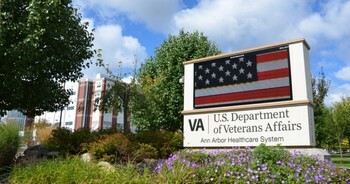 According to NBC News, the department's computers were unable to process the change, quickly leading to an immense backlog of Veterans' claims. The issues ultimately resulted in Robert Worley, executive director of the VA's education service, being reassigned earlier this month. 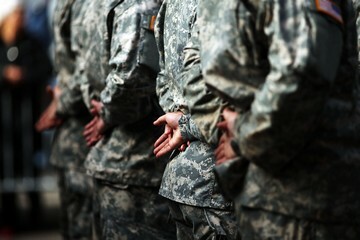 Because of the backlog, the department announced Wednesday that it would delay the bill’s housing allowance changes until next year, also pledging that Veterans who received incorrect GI Bill benefit payments would eventually be paid the correct amount. Committee aides, however, said VA officials told Capitol Hill staffers on Wednesday that the department will not retroactively reimburse underpaid Veterans due to the housing miscalculations once the system is fixed next year, according to NBC News. "They are essentially going to ignore the law and say that that change only goes forward from Dec. 2019," one aide told the outlet. He added that the department would instead be paying housing allowances in accordance with the Department of Defense's previous Basic Housing Allowance rates until next year. Cashour pushed back in a statement to The Hill on Thursday, claiming “the NBC report is misleading and gives the false impression that some Veterans on the GI Bill will not be made whole with respect to their housing payments." Cashour added that the VA in spring 2020 “will have solved its current information technology difficulties" to comply with the Forever GI Bill changes. The VA's regional offices reopened on Monday, but the canceled work came less than two days after a House committee demanded answers on delayed payments to Veterans. Less than two days after a House committee demanded answers on why computer problems were delaying Veterans' GI Bill payments, the Veterans Benefits Administration unexpectedly canceled its weekend work at three regional processing centers at the last minute on Saturday morning. A VA spokesman said a system update stymied the agency's attempts to work on its backlog of benefit claims, putting a halt to the mandatory overtime ordered to address the problem. NBC News previously reported that computer problems have caused GI Bill benefit payments that cover education and housing to be delayed or made incorrectly, forcing some Veterans to face dire financial circumstances. In response to the delays, the Veterans Benefits Administration's (VBA) Education Service placed the regional processing centers on mandatory overtime, including weekend work, and hired 202 additional workers. At Thursday's hearing before the House Veterans' Affairs Committee, VA officials were unwilling to offer a concrete date — or even an estimate — for when the problem might be fully resolved, but said they would continue with mandatory overtime to address the issue. The VA confirmed that it alerted employees at 9 a.m. ET on Saturday that all overtime work on education claims would be canceled at the three regional offices, but it did not respond to multiple requests for comment on the number of workers who were told to stay home. Stars and Stripes reported last week that overtime has cost about $300,000 every week since the beginning of August, totaling about $4.5 million. The House Veterans' Affairs Committee, which held Thursday's hearing, began to investigate the matter on Saturday after they found out about the canceled work, a committee aide told NBC News. The committee believed it was "an internal communication issue" at the federal agency, the aide said, as VA officials told them the system was not "down." However, the payment system became "unavailable" when they input new compensation and pension rates that are to take effect Dec. 1. Curt Cashour, a spokesman for the Department of Veterans Affairs, said that full operations at the regional offices resumed Monday morning and that the canceled overtime would "have little effect on VA's overall education claims processing, as the department's education claims inventory is trending downward." 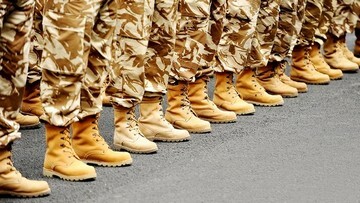 Cashour denied that thousands of Veterans had waited months for payment or been made homeless by the delayed payments. Sen. Mike Enzi, R-Wyo., the chairman of the Senate Budget Committee, however, sent a letter to Veterans Affairs Secretary Robert Wilkie on Friday, asking him to address the multiple reports that the delayed payments have put student Veterans in difficult financial circumstances. The chairman also asked how much money VA had spent to address its computer system, the number of employees working on it, the status of the IT upgrades, the amount of time it will take VA to correct its payments and send them to Veterans, how much is owed to student Veterans and how VA is communicating with students and schools about the delays. 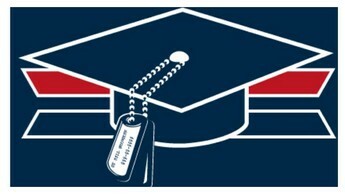 The VA said as of Saturday that it had approximately 51,000 pending post-9/11 GI Bill claims. According to Cashour, each education claim is processed in 24.3 days for original claims and 17.3 days for supplemental claims. "VA’s education claims inventory includes claims that are as new as one day old, and not all involve payments, such as initial applications or changes of programs," Cashour said in an email to NBC News on Saturday. "Approximately 1-percent or fewer of VA’s education claims are more than 60 days old. We continue to monitor closely and prioritize these claims." Computer problems at VA have caused benefit payments to be delayed for months or never be delivered, potentially affecting hundreds of thousands of Veterans. Higher-ups at VA decided to reassign Worley due to the delayed GI Bill payments, as well as other issues within his office, sources said. Worley was told that he could choose which of VBA’s 52 regional offices he would lead, but that he had to leave his current position. The VA is expected to say that Worley is leaving his current position because he wants to spend more time in the field, sources said, but the move comes amid ongoing issues around GI Bill benefit payments. Thursday's House Committee on Veterans' Affairs hearing is an attempt to hold VA accountable for the delayed payments to Veterans, they added. Worley's departure is believed to provide VA leadership an out at the hearing. “It allows him to take a bullet [at the committee hearing] for the undersecretary,” one former VA official said. VA Undersecretary for Benefits Dr. Paul Lawrence will testify at the hearing on Thursday afternoon. Bill James and John Galvin, both from VA's Office of Information & Technology, are expected to testify as well. Richard Crowe, the senior vice president of Booz Allen Hamilton, the information technology contractor who worked on the Forever GI Bill with VA will also testify. The announcement of Worley's move was made internally on Friday. VA and Worley did not respond to NBC News' request for comment. Worley had been in his current position as the director of education service since March 2012. Prior to coming to VBA, Worley retired from the Air Force as a major general. Service organizations that advocate for Veterans in Washington said that they are concerned that Worley’s departure will negatively affect their ability to promote Veterans issues. Patrick Murray, deputy director of the Veterans of Foreign Wars, said that he did not know of Worley's upcoming departure but the VFW had a good working relationship with him. They could easily call him about problems that they were seeing, he said. Meanwhile, the U.S. Senate is also taking a deeper look at the problems VA is facing. Democratic Sens. Patty Murray, Richard Blumenthal, Michael Bennet, Sherrod Brown and Debbie Stabenow wrote a letter to VA Secretary Robert Wilkie on Tuesday in response to reports of the ongoing computer issues at VA that delayed GI Bill benefit payments. "As a nation we have a responsibility to be there for our Veterans, and part of that duty involves fulfilling our promise to ensure they have access to education after they leave the service," the letter said. "These errors and delays undermine the intent of the GI Bill and put unnecessary and avoidable strain on Veterans and their families during a critical time of transition." The letter asked for the VA secretary to provide an updated number of affected Veterans, average wait time for payments, the number of full-time and contract employees working to fix the technology error, how much the extra work will cost, when the VA learned of the error and the steps it is taking to ensure these types of issues don’t happen again. Democrats requested in the letter that VA provide updates every two weeks until the problem is resolved. Murray, D-Wash., who led the minority effort to write the letter to Wilkie, said that Veterans should not have to wait to receive the benefits that are supposed to help them transition into civilian life. “I expect VA to work as urgently as possible to honor its commitment to our Veterans and process all backlogged housing stipend and tuition payments — and many of us in Congress will be watching closely to ensure they make this right for the thousands of Veterans waiting desperately for relief,” the senator wrote.